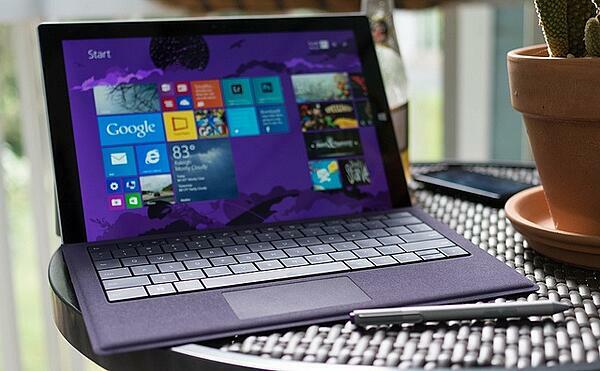 Should I Buy a Touchscreen Laptop, a Convertible Laptop, or a Microsoft Surface? DelCorians Debate So You Can Decide. Desktops and conventional laptops no longer rule the business world. In the last few years, we’ve seen three alternatives make headway in the traditional laptop market. Laptop with touchscreen—the keyboard is attached like a regular laptop but the screen is enabled for touch. 2-in-1 convertible (hybrid) laptop—the detachable or hinged keyboard is inactive when it’s in tablet mode. Surface tablet—Microsoft’s iPad competitor, designed to replace your laptop. If you’re in the market for a new laptop or laptop replacement, listen in on a conversation I had with three DelCorians about the pros and cons of these devices. Leigh Andreasen is a hardware acquisition specialist. Diane Stoner, PMP, is testing a hybrid laptop. David DeLorenzo, CAE, is using his Surface as a laptop replacement. Why do people switch from traditional laptops to touchscreen devices? Leigh: Well, if everyone else has one… Seriously, people want the latest and greatest tools, but there are more practical reasons. Diane: Usability—it’s quicker to ‘click’ by just touching the screen versus taking your hand off the keyboard, grabbing the mouse, positioning the cursor, and clicking. And, consistency—it’s how we’re interfacing already on our mobile devices, and a sign of the progression toward a more universal approach across devices. Why did you make the switch to a Surface? David: I’m always a risk taker with tech, and jump in before things fully mature, out of the pure belief that something will work. Surface was one of those moments. I had the first Surface and have had every model since. But it wasn’t until Windows 10 and the Surface Pro 4 that I fully switched over. I like the Surface’s flexibility, size, and weight, plus the pen is a game changer. Now for the pros and cons of touchscreen devices. Easy navigation using fingers—no need to locate and aim the cursor, no need for a mouse. Higher resolution screen with enhanced graphics. Microsoft designed Windows 10 for touchscreens. Leigh: And portability. Convertibles and tablets are great for travel and client site meetings. The 12” convertible in our office weighs 3 pounds (the same as a 14” regular laptop), and its detachable tablet weighs only 2 pounds. Responsive and precise touchscreen. In tablet mode, the convertible is useful for lighter work from any location, like browsing, lookups, reviewing email and documents, file management, and working in Word, Excel, and our CRM. Although I still find the keyboard essential for most of my work. In keyboard mode, heavy work can be done with the convertible. I’m more inclined to use the keyboard in a desk setting. Boots up quickly, usually—more on that later. David has this to say about the advantages of the Surface he’s been using. I’m on the go all the time, working from offices and conference rooms. The Surface provides me lightweight flexibility for compute power. The pen (stylus) is great for digital note-taking when I don’t want to be keystroking in a meeting. The screen resolution is awesome. All those pros aside, touchscreens in general have some cons to consider. Leigh: Typing on a screen keyboard is not at all ergonomic. Many people find typing on the screen at full keystroke speed awkward, even if the device is flat on a surface. Another issue is screen size. To keep the weight down on all these devices, screen sizes are limited. There is not currently a 15” tablet available on the market, which is a standard laptop size. A touchscreen adds weight to a laptop. The 14” touchscreen laptop in the office weighs 3.5 pounds, a half-pound more than my 14” laptop without a touchscreen. 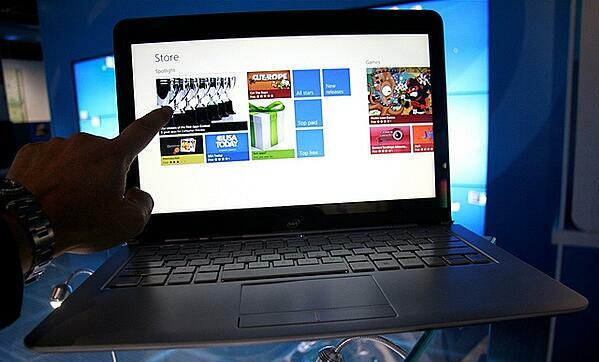 A touchscreen can add $300 or more to the price of a laptop. Touch sensitivity can be problematic, especially if apps are poorly developed. Screens crack, more often than you’d think, so make sure you get a warranty. What about the cons of 2-in-1 convertible (hybrid) laptops? They don’t have enough ports, usually just two mini USB ports, so you need to carry around adapters for USB, HDMI, and VGA. The hybrid’s kickstand is less stable than a laptop when you’re working on your lap. You’ll need a different type of case to add stability. Maybe it’s just this model, but it takes a few tries to get the power to turn on. And the hybrid screen can uncomfortably heat up. Leigh: I’d add that with all the moving parts, particularly the retractable keyboard, there are a number of failure points and wear issues. Also, super users may not like the decreased compute power. Convertibles and tablets are made with a different chip model than current laptops and desktops. Some models are limited to 8GB memory total—and it can’t be upgraded. …including our fellow DelCorian, Dan Lautman. He said he’s seen a higher volume of calls for hardware repair on the Surface, compared to laptops. David: I’ve had no issues with three different Surface devices. Your mileage may vary. Some people have said the keyboard connection is unreliable, but I haven’t seen that. But, here’s one thing I’ve noticed. The Surface (Windows 10) has scaling problems when I have to add monitors in the offices I’m visiting, so I often have to reboot in a connected state. So here’s what everyone wants to know: could one of these touchscreen options replace your desktop, laptop, and tablet? Leigh: I believe a keyboard is essential if your work involves heavy data entry or writing. A tablet should have a detachable/foldable keyboard or it loses all credibility for me as a desktop replacement. 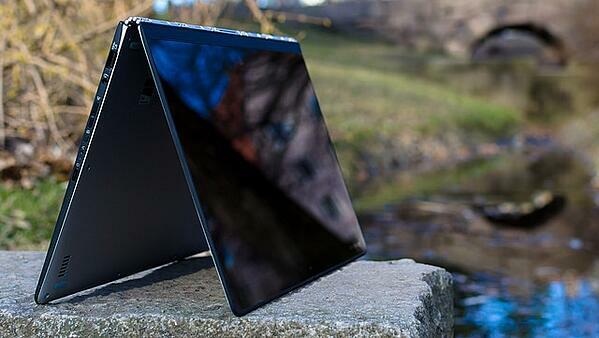 Diane: In theory, a 2-in-1 convertible (hybrid) laptop could replace your laptop and tablet. However, based on my experience, I wouldn’t recommend it as your main device. It may be a good option for lighter use for people traveling or in the field. The performance on the unit I’m testing has been inconsistent. One day the Caps Lock light was malfunctioning. The next day, it wouldn’t boot up at all and I had to take notes by hand. I’m not impressed with this one, but I still like the availability of a touchscreen. Leigh: Like I said, get a warranty. David: The Surface has replaced my laptop and tablet. What would you say is the lifespan of each touchscreen device? Leigh: A touchscreen laptop should last for at least three years, especially with the better manufacturer warranty. Because of all the moving parts, I’d give a hybrid a maximum useful life of two years. A Surface? We’re getting a lot of failures in the field from people who are now going back to touch-enabled laptops. But David will have more input here as he’s been a longtime user. David: I fully expect my Surface to last as long as a laptop. I take good care of my equipment. Now to the bottom line: is a touchscreen device worth the extra price? Leigh: No, touchscreens aren’t worth the extra money. Diane: For mobility and usability—hence efficiency—yes, hybrids are worth the extra money. David: Yes, the Microsoft Surface is definitely worth the extra expense. Are there any other points to consider before making a purchase? Is it a necessary upgrade? Will it cause additional work for IT? Diane: Also decide if you’re willing to sacrifice screen size. David: If you don’t want to use the Surface like a tablet and don’t want to commit to using its pen, then it might not be your best choice. I find that people buy the Surface, treat it like a laptop by never using the touchscreen or pen, and then complain. Know what you are buying and why. Where to you see the laptop and tablet market going next? Leigh: That’s a tough call. Until there is truly a ‘laptop killer’ tablet, the continued use of a laptop and supplemental tablet with touch will be the norm. Or better yet, until all applications are optimized for touch—Have you ever tried using Windows 2010 apps on an Apple device? Painful!—non-touch will still be standard. Diane: I see a convergence to touchscreens with a continued need for a keyboard as an input option. The reliance on the mouse as an input device is fading. Voice recognition and stylus will become stronger input options. David: I think the Surface brand is getting legs. There’s increased adoption of Surface Pro 4s in business environments. And, the Surface Studio is the first game-changing desktop in a long time. As people get used to touchscreens and the peripheral market rises up with them, the product line is well positioned to be a dominant player in business computing needs. And there you have it: a DelCorian take on the move toward touchscreens. As usual, what you choose for yourself personally or for your staff and business operations, requirements are key. For a deep dive into requirements analysis (particularly for large-scale software projects), download our free whitepaper, Requirements Analysis: The Secret to Sanity.